It's been a crazy few weeks with the start of term. I've not managed to play any games but am planning a game of SBG with Josh in the very near future. In preparation I've been finishing off my Gondorian Knights which have been sat on my painting desk for all of this year. I cannot stand painting horses so always find excuses to avoid cavalry. That's probably why my Rohan army is so underwhelming! Anyway, Faramir can now lead a detachment of 9 knights. 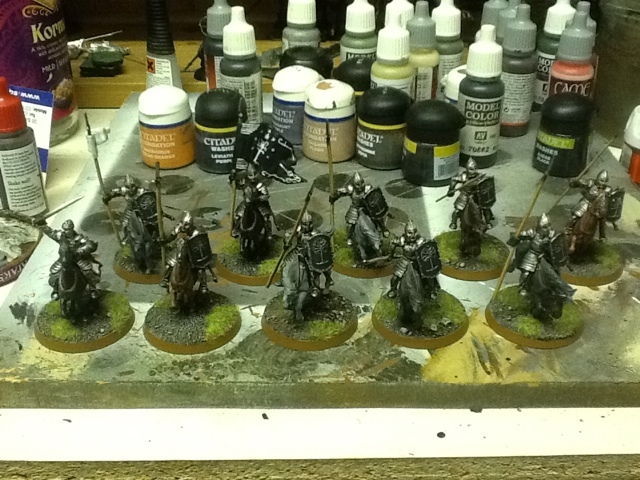 The one behind Faramir (with the white banner on his lance) is a captain. All of my Minas Tirith captains have white tunics under their armour to make them easier to spot. I recently won a lot of 100 heroclix on eBay, so the superhero project continues. Most recent completions are Bishop, Shadowcat, Psylocke and Prof X. 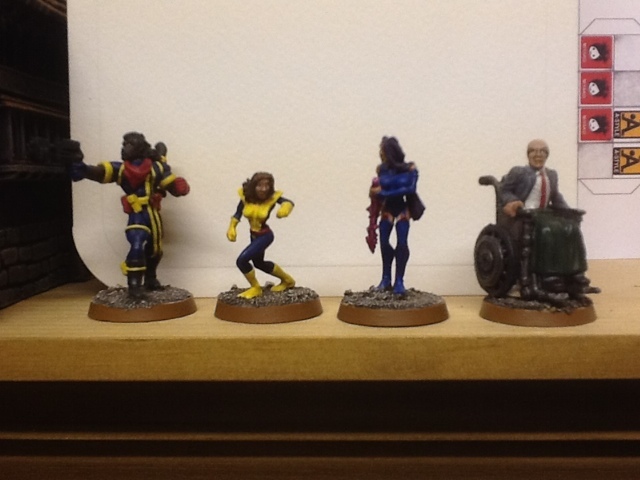 Some of these are pretty poor sculpts, but you can't have enough X-men!